Grief is a healthy emotion for dealing with loss. Everyone deals with grief in different ways and different time frames. There are many ways one can work through their grief: some rely on friends and family, some handle it on their own, others turn to ministers or spiritual leaders, and others turn to grief counseling and educational services. Formally Hospice of the Bluegrass provides a broad range of services to individuals and families experiencing grief. Those in need are offered support, education and counseling as they work to regain a positive focus in the face of emotional upheaval. The facility is a true community center, not only for Hospice families but for anyone in the community who has experienced a loss. Please call call (855) 492- 0812. Compassionate Friends Bluegrass Chapter is available to assist families toward the positive resolution of grief following the death of a child of any age and to provide information to help others be supportive. Sesameworkshop "When Families Grieve" helps you discuss the topic of death with children and how to help them cope with grief. For more information please look at their website. Harmony Farm offers creative counseling for children (ages 2-18) and their families in Scott County and surrounding counties. 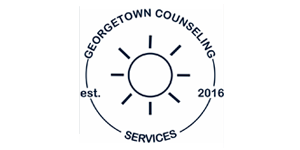 They provide a wide range of services including grief counseling. (859) 537-9779. Thin Line Counseling and Consulting, LLC, provides mental health therapy to those that are hurting from past trauma, grief, depression, anxiety, or PTSD. The agency also specializes in providing therapy to the public safety members that stand the thin line between order and chaos. University of Kentucky Survivors of Suicide Support Group's mission is to provide a place for those bereaved by suicide to connect with one another and receive support, comfort, and strength for the difficult grief journey. Please contact the facilitators, Susie Nally and Charlie Bissell, at lexingtonsosgroup@gmail.com before attending your first meeting.